Before the birth of Madhva, when his parents had gone for a purchase in the market, a beggar climbed a dhvaja stambha (flag-post in front of a temple) and announced: "Bhagavān (Lord) Vāyu deva is going to take birth for the revival of Vedic dharma in Pājaka kṣetra to a couple." The prediction made by the beggar was discussed by the parents of Madhva till they reached home. 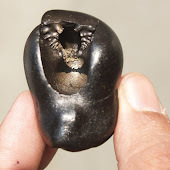 Even as a child, Vāsudeva exhibited precocious talent for grasping all things spiritual. As an incarnation of Mukhyaprana this was not new for him. 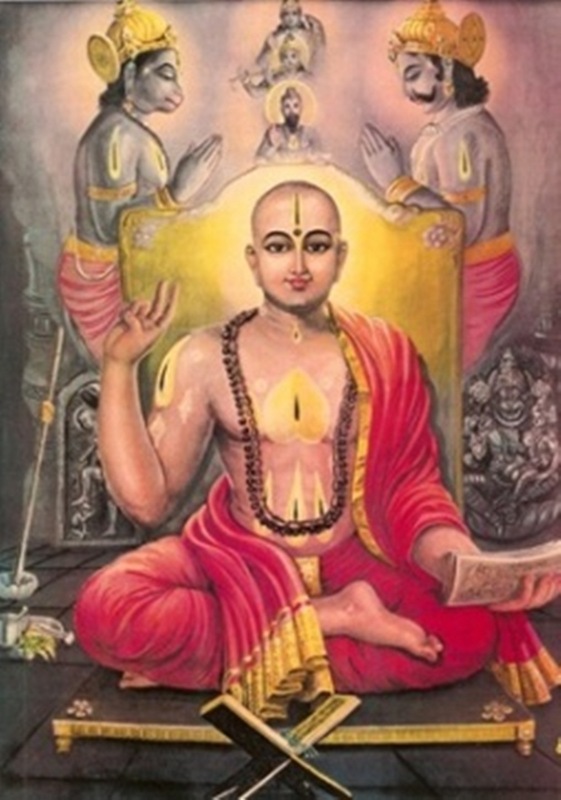 He was drawn to the path of renunciation and even as a boy of eleven years, he chose initiation into the monastic order from Acyuta-Prajña (also called Acyuta Pragna), a reputed ascetic of the time, near Uḍupi, in the year Saumya (1249 CE). 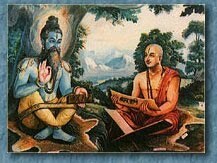 The preceptor Acyuta Pragna gave the boy Vāsudeva the name of Pūrṇaprajña at the time of his initiation into sannyāsa (renounced order). A little over a month later, little Pūrṇaprajña is said to have defeated a group of expert scholars of Tarka (logic) headed by Vasudeva-paṇḍita. Overjoyed at his precocious talent, Acyuta Pragna consecrated him as the head of the empire of Vedānta and conferred upon him the title of Ānanda Tīrtha (saint of immaculate bliss). Thus Pūrṇa-prajña is Madhva's name given to him at the time of sannyāsa (renunciation). The name conferred on him at the time of consecration as the Master of Vedanta is "Ānanda Tīrtha". Madhva, a name traceable to the Vedas (Balittha sūktam), was the nom de plume assumed by the Ācārya to author all his works. 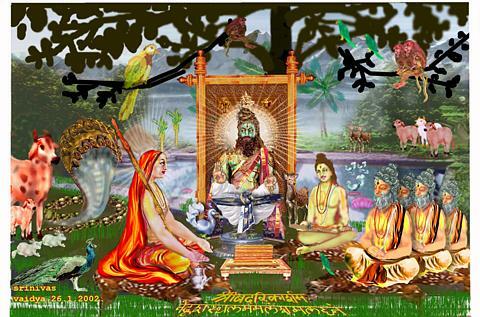 Madhvācārya showed that Vedas talk about him as "Madhva" and used that name for himself. However, he used Ānanda Tīrtha or Sukha Tīrtha also to author his works. 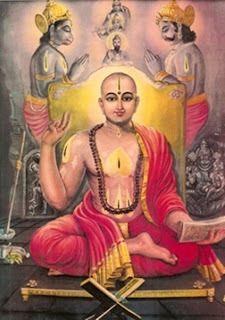 Madhvācārya was the name by which he was to later be revered as the founder of Tattva-vāda or Dvaita-mata. Once there was a king by the name of Yashovartha, who ruled the Kaambhoja kingdom. He was becoming old and had a son. The son was always suffering from illness and other diseases. The king was not able to understand why his son was suffering and so invited a Brahmin and asked the Brahmin to suggest a remedy for the same, as no doctor was able to cure his son. The Brahmin then had a look at the prince and closed his eyes for few minutes. The Brahmin replied to the King that “ O King, your son was a trader in his previous birth. He was a miser and never donated anything. 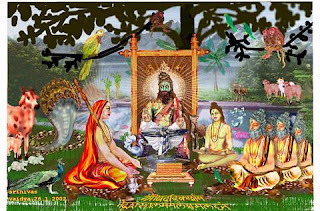 Hence in this birth even though he is born as a prince he is not able to do anything.” The Brahmin said that to overcome the illness, the prince should be shown the greatness of the RathaSaptami Vrat and the way it is observed. By the simple virtue of viewing the process of observing the Ratha Saptami Vrat the prince would be cured of his illness and diseases. On the day before Ratha Saptami (on the Shashti day), one should get up early and take a bath in a river, lake , pond or draw water from a well. One should not apply oil to the head before taking the bath or after taking the bath. Should visit the temple of Sun God and return home. Should have lunch with all his family and in the night should invite Brahmins to the home. Should perform the Puja to the idol of Lord Surya and just before eating lunch should leave water while saying the following words “ Oh lord please see that the Vrat that I intend to do tomorrow is completed without any obstacles.” The devotee should then prepare a new idol of Lord Surya along with the chariot, horses and the charioteer. He should sleep on the floor and should maintain celibacy.The chariot, horses and charioteer can be made from Gold or Silver. The next day the Devotee should get up early in the morning and take a head bath without applying oil. Should install the Lord along with the chariot and horses that was prepared yesterday on the Mandap. Should perform the Puja while the Brahmins recite the Surya Suktam. Should perform the Abhishekam in the afternoon. 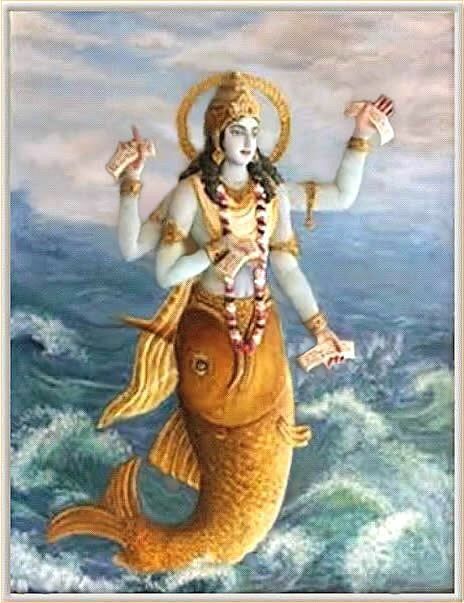 Should perform the Shodasopachara Puja to the Lord. Then pray to the Lord to show mercy on him and grant him with health and prosperity. Should worship with Jilledu flowers( Arka flowers). Should then pay the Brahmins with lot of money and feed the Brahmins. One should not eat on the day of Ratha Saptami and should not sleep in the night of the Ratha Saptami. The next day should finish his bath early and worship the Lord Surya. Should feed the Brahmins and then only eat. If one follows the above procedure he would be free from all his worries and by virtue of the Ratha Saptami Vrat would become an emperor. The king followed the advice of the Brahmin and performed the Ratha Saptami Vrat. The prince by merely seeing the Vrat got rid of all the illness and became an emperor.